I don't know about you guys, but when the weather gets warmer, my allergies go crazy, which means my nose is usually not clear, which means I do a lot of cavewoman-like breathing through my mouth, which means chapped lips! (Still with me?) 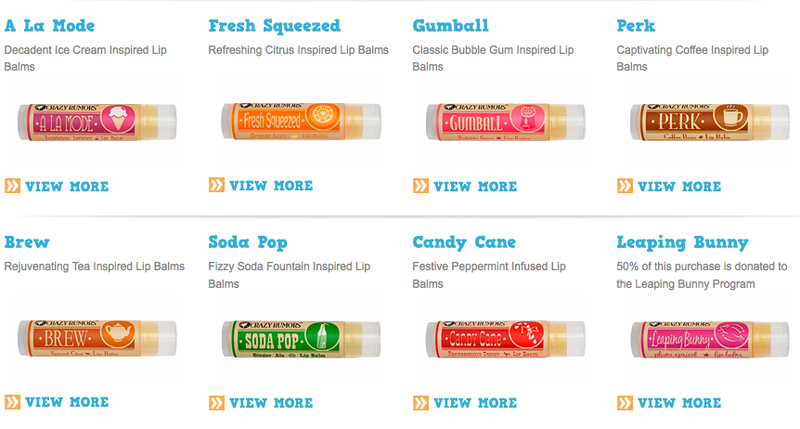 I love the lip balm I use now (Burt's Bees), but sometimes you just get tired of the same old thing, day after day. 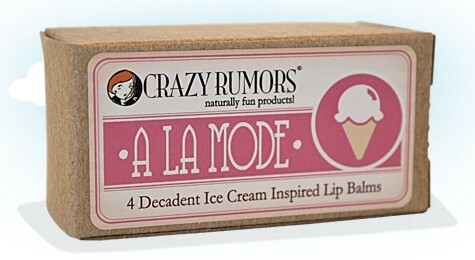 So I've been on the hunt for an alternate (that's also cruelty-free, mind you) and I've landed on Crazy Rumors. 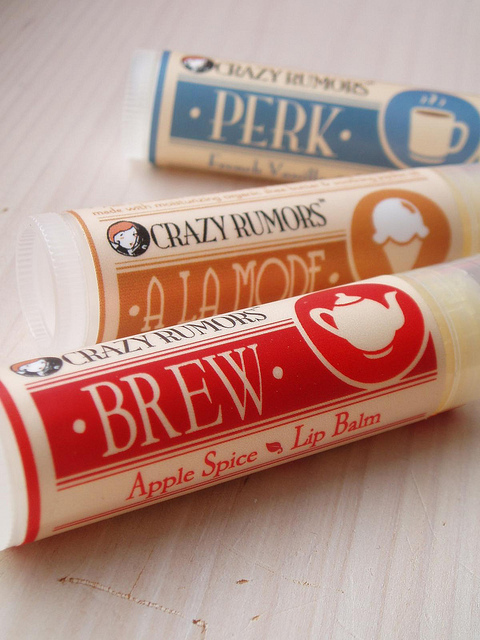 Started by Edie and Brian Himmel back in 2003, Crazy Rumors lip balm is all natural, vegan, gluten-free and made with certified organic ingredients, and the number of flavors they have is ridiculous! You start with a general category such as A La Mode, Fresh Squeezed, Perk or Soda Pop, and within those are at least three more specific flavors to choose from. Or you can buy a package that contains all of one category. I think I'm gonna start with Lemonade and Mint Chocolate. What about you? ?